PRESENTED BY BAYLAND BUILDINGS, INC.
Mile of Music Presents: Concerts in the Courtyard, sponsored by Bayland Buildings, Inc. showcases top up-and-coming bands and singer-songwriters from music hotbeds throughout the country, with local and regional artists blended in. The music is FREE every Wednesday at the Red Lion Hotel Paper Valley Courtyard (333 W. College Avenue) in Downtown Appleton, and offers an early-evening music choice for downtown workers and local music fans. The Courtyard opens for seating at 5 p.m. and the music starts at 5:30, ending shortly after 7 p.m. This is a rain or shine event – in the event of inclement weather, the music moves inside the hotel. 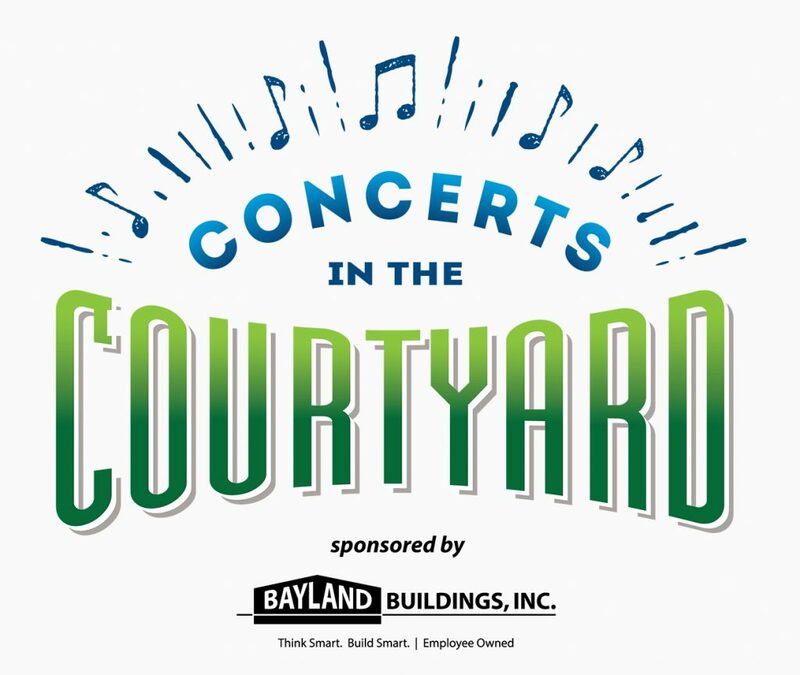 Bayland Buildings, Inc. is the sponsor for Concerts in the Courtyard, which runs each Wednesday (except July 4) through August 29. Concerts in the Courtyard is produced by Mile of Music Presents, in collaboration with the Red Lion Hotel Paper Valley and WHBY Radio. PLEASE NOTE: This is an all-ages, FREE event. Valid ID is required to purchase alcohol. Artists subject to change/substitution without notice. Time: Show @ 5:30 p.m., Doors @ 5 p.m.